What I found most remarkable about pregnancy and early motherhood was the contrast; here I was, experiencing a profound physical and emotional alteration, growing new life inside me—and here were dozens of my Facebook acquaintances, going through exactly the same tectonic shifts, documenting them with hashtags, to boot. So I was both special and banal. What compares to this duality? Maybe the only similar experience is adolescence: moments like the first kiss, or that initial disillusionment with the adult world, the kind of awakenings that feel like one’s universe is exploding even as a thousand other combustions take place in the same hallway. Among the challenges of matrescence that Sacks lays out are learning to live with ambivalence (what psychologists call the push-pull of motherhood); the dream of motherhood being supplanted by its reality; societal stereotypes of the perfect mother—all on top of physical and hormonal stress. In an interview with Lilith, Sacks noted that American women have a particularly rocky minefield to navigate because of our family-unfriendly policies, the worst among developed nations, but she said the new mother’s fraught identity shift can be found worldwide, across cultures. Sacks’s work certainly struck a nerve. Take a look at recent books, films and comedy routines. We are living at a moment that I’ll call “peak demystified motherhood,” especially, it must be said, for mothers who have the time and money to be invested in demystifying. But this is not merely a trend among the privileged. Groundbreaking journalism throughout 2017 and 2018—a series in ProPublica and NPR, a New York Times Magazine cover story, a VICE episode—all laid bare the dismal state of maternal health in the U.S., especially for black women. This muckraking, mostly by women journalists, feels animated by a sister energy to the growing number of celebrities copping to postpartum depression, the memoirists, the comics. It’s a concerted desire to show the world how bad motherhood can get, how ignored mothers can be, a wave of pressure that’s enabled and amplified by the internet forums where stories about birth, postpartum depression, miscarriages and breastfeeding struggles are shared with strangers, then dissected and analyzed. 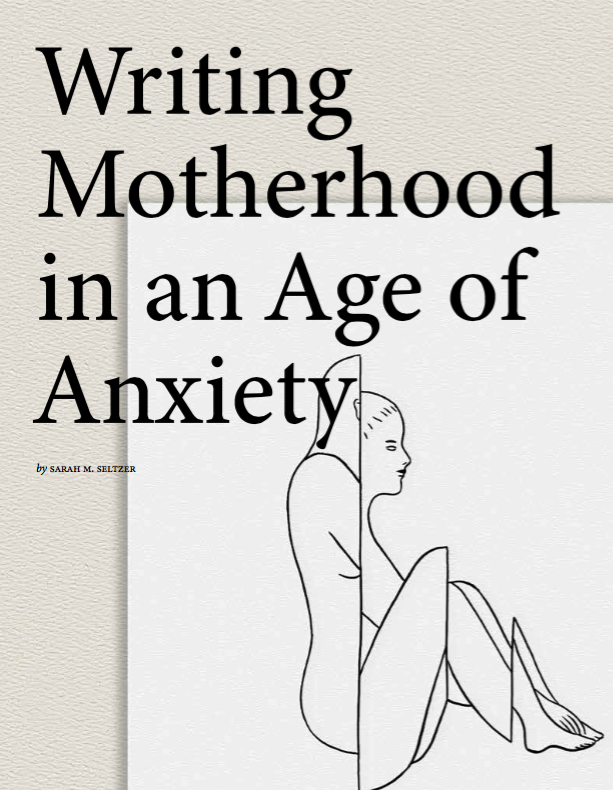 I became interested in this new wave of motherhood lit a few years ago, when a spate of sparse, compressed nonfiction hit bookshelves, including Rivka Galchen’s Little Labors, which memorably describes her baby as a “puma” who comes to stay, as well as Maggie Nelson’s queer family masterpiece, The Argonauts, among their ranks. I read many of these lilting, polished books while pregnant myself and they gave me comfort: I could be a true intellectual and a new mom too, if I just kept my paragraphs short and my sentences dagger-sharp. But what differentiates the more recent crop of books from that elegant 2015 batch are the viscera: both the graphic details of birth and its postpartum wounds, but more crucially the visceral anger that pulses through their pages, anger that at times overmasters the writer’s attempts to be poetic or controlled. In her 2018 book of cultural exploration, Mothers, Jacqueline Rose writes that “today, in public, the bodily necessities of mothering are brushed under the carpet and/or consigned to another hidden, intimate world,” because “the shameful debris of the human body, familiar to any mother, must not enter the domain of public life….” Tell that to Rose’s fellow mother-authors: to Body Full of Stars author Molly Caro May, suffering from postpartum incontinence, who tried to hang her urine-soaked pads up on the wall to remind her husband of her ordeal, or to Jessica Friedmann, who writes in her postpartum depression memoir, Things That Helped, of what mothers call being “touched out.” “When you have been stroked and suckled and grabbed so much that you cannot bear a second more of physical contact, like a cat that turns vicious out of the blue.” And in her memoir And Now We Have Everything, Meaghan O’Connell describes a group of non-mother friends coming over. She defiantly lifts up her shirt, showing them giant purple stretch marks, and notes their revulsion. These truths are coming to us not only in books. The feature film Tully creates a horror story out of a magical night nurse who helps a new mom on the brink. And a new group of mom comedians, led by Ali Wong, insists on detailing the ick. In her recent “Hard Knock Wife” special, Wong describes the reality of afterbirth in language so obscene I gasped before I laughed. She tackles breastfeeding thus: “When they’re hungry and they’re crying it makes your hormones spray milk all over their face and their neck, which then becomes very slippery and hard to grip, and then you gotta slam them on at just the right time.” And she polishes o a C-section with this joke: “they put up this curtain so that your husband can only see your human side, and not your cadaver side.“ This is the project of most of these writers and artists: to rip open the curtain, to make their viewers look at the cadaver side, make their fellow mothers sigh with recognition, and spur the non-mothers to gasp with a mix of horror and sympathy. The cadaver side is something many of these books and films deal with: the proximity of birth to death, both in that the mother’s life is endangered (and far too often in America, lost) in the process and that in giving birth, she has created a future death. This is what Jacqueline Rose thinks causes society to scapegoat mothers: motherhood’s reminder of our animal, violent, vulnerable nature. (One can debate whether that’s the precise distillation or not—one critic in The Nation thinks this explanation fails to account for capitalism’s exploitation of the free labor of motherhood). Regardless of how all-encompassing her theory is, Rose has hit on something: if the world scapegoats mothers, mothers are hitting back. The books, the comedy routines, all seethe with retributive anger: mostly at husbands (O’Connell realizes she’s probably had postpartum depression—PPD— for a year, and immediately gets angry at her husband for not noticing), at doctors and midwives—and often, just free-floating anger with no object. This is important. Popular psychology reminds us depression is anger that has no outlet, and turns inward; many of these motherhood writers believe there’s a social element to PPD along with the obvious medical one, and Dr. Sacks agrees. “Postpartum depression is a real illness, which needs more advocacy, awareness and treatment,” she told me. “But social isolation and shame adds fuel to the fire.” For Jewish women, many of whom still face communal and family pressure to be both joyful stewards of the home and outwardly successful in the work realm, that pressure and isolation may be compounded. For this reason alone, the project of augmenting the “motherhood canon” with an outpouring of new art and writing feels crucial. But are all these books actually breaking new ground, or did my generation just start naming this “canon” when motherhood was on our brains? To put it another way, are previous generations’ motherhood books hard to find, or have they just been made invisible? Jacqueline Rose is particularly reverent towards Adrienne Rich’s groundbreaking Of Woman Born, which came out 42 years ago, declaring that motherhood, the institution, “has alienated women from our bodies by incarcerating us in them” and detailing Rich’s own push-pull between love and rage at her condition—an ambivalence I saw described as a revelation on a popular women’s blog just this week. Yes, a friend snarkily said to me, every generation of writers thinks it’s discovering motherhood as fodder for literature, and perhaps discovering the indignity of “middle-class, hetero” mothering in the modern age. But couldn’t the same be said of adolescence, that perennial subject of art? Or growing old? Or male writers delving into middle-aged boredom and desire? Isn’t it good that each new generation of writers would tackle such a major subject as the creation of life? Two years into my own motherhood journey, I still struggle to be honest about its darker side. When I think about my particular hardships—a traumatic birth, a miserable experience going back to work, fatigue that made me feel like I had morning sickness for over a year after birth—I am embarrassed. It feels so self-indulgent to complain about these deprivations, when I am not being torn from my child by Immigration and Customs Enforcement, or killed by neglect due to racism. When mother-writers on the internet kvetch about being “touched out” or having no time to write, I feel an initial wave of identification followed by an undertow of shame, thinking of the working nanny who wants not to find fulfillment through work, but to snuggle her own kid instead of someone else’s. I wonder of my sister privileged moms: shouldn’t we stop yapping endlessly about our birth stories and try to end maternal mortality disparities? Where are the trendy memoirs by queer moms, single moms, moms of color and working-class moms that challenge the deeper underpinnings of Rich’s “institution” (maybe some are too busy surviving to ruminate on their lot and get book deals for doing so)? But I also know this: the guilt that would push my own pain into hiding would end up paralyzing me, preventing me from doing the work in the world that I so desperately want to do, especially as motherhood has increased my sense of affinity for families everywhere. Because mothers—even privileged ones— wandering around looking for a place to pump, with gaping wounds ignored by doctors, with absurd expectations to “have it all” and no maternity leave, constitute an oppressed class in America. If we at least felt less isolated and ashamed, we could more easily access solidarity. Sarah M. Seltzer is Lilith’s digital editor. ART BY RACHEL LEVIT, RACHELLEVIT.COM. Motherhood profoundly echoes what it’s really like to forego propriety, which women do when we challenge the idea that having children will offer us absolute satisfaction.